This week's consumer price report from the Bureau of Labor Statistics shows prices of used cars actually went down in March, making them an even better deal for car shoppers. Since new car prices continue to rise, consumers seeking a comfortable and reliable ride can save thousands by shopping for a late model used car. And because automotive quality has increased in recent years, there are more attractive options. 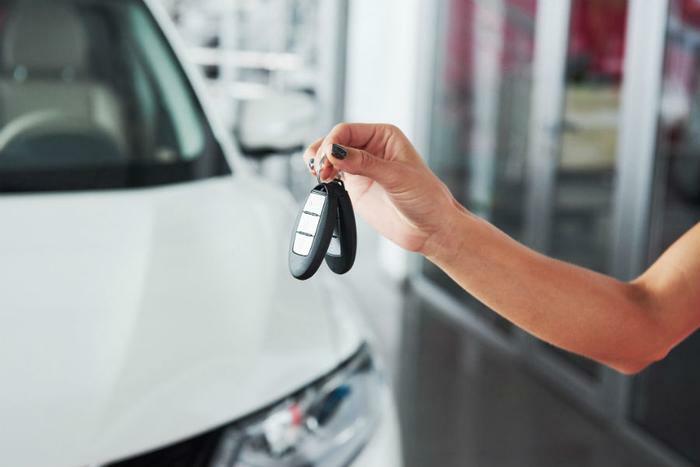 "Because in-car technology is evolving so quickly and the price of new cars continues to climb, one way that shoppers can get new-car features at a used-car price is with certified pre-owned," said Brian Moody, executive editor for Autotrader. BMW's CPO program offers one year and unlimited miles of additional warranty coverage, beyond the 4-year/50,000 mile factory warranty period. It also offers financing incentives through the end of April to qualified buyers, with 0.9 percent interest for up to 24 months. Through the end of May, Cadillac has specials on its ATS, a sporty compact coupe, and the Escalade, a full-size luxury SUV. Qualified shoppers can finance certified pre-owned versions of both the ATS and the Escalade with 2.9 percent interest for up to 60 months. Autotrader singles out the Jaguar deals as among the best in the industry. The automaker provides seven years or 100,000 miles of warranty coverage, as well as financing deals ranging from 0.9 percent to 2.9 percent. Land Rover's certified pre-owned program also offers seven years or 100,000 miles of comprehensive coverage from the original sale date, for purchases made in April. Its financing offers are similar to Jaguar's. Lincoln's CPO program offers six years or 100,000 miles of comprehensive coverage from the original sale date. Through the end of June, qualified buyers can get a 2.9 percent auto loan for up to 66 months. Toyota is offering qualified buyers one year of comprehensive coverage and up to seven years of powertrain coverage from the original sale date. This month, it's also offering a 1.9 percent interest rate on all CPO Camry models for up to 36 months, for qualified buyers. It's important for consumers to understand what exactly makes a pre-owned vehicle "certified." In general, these are late model cars with low mileage and no record of significant damage. In many cases they are coming off three-year leases. These are vehicles the manufacturer resells through its dealers instead of at auction, and it will usually provide additional warranty protection. Deals may also include perks provided to new car buyers, such as free maintenance and roadside assistance.